The word “Zion” means “place of refuge” in Hebrew. Living up to its name, Zion National Park in Utah is home to more than 271 bird species. 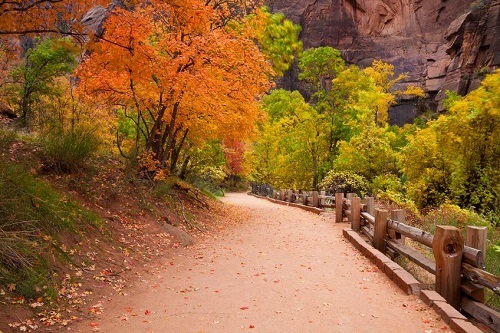 Drawing 2,973,607 visitors in 2012, Zion was the sixth most-visited national park. The area was originally preserved as Mukuntweap National Monument by then-President William Howard Taft in 1909. Renamed Zion in 1937, the park received official national park designation in 1956. The 229-square mile park is open year round, but is especially beautiful in the spring when wildflowers bloom and again in fall, when turning leaves produce spectacular colors.